Miranda, Frances and Holly are here to help give you the inside track. 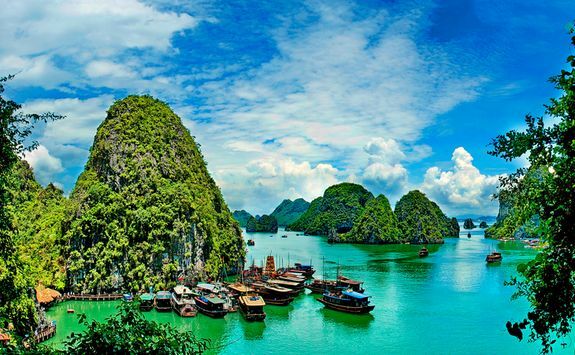 For newlyweds who want to experience a combo of culture and adventure, Vietnam is the ideal honeymoon destination. 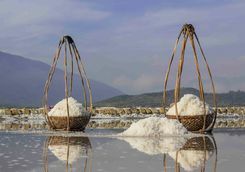 Plus, with fantastic food and some beautiful white sandy beaches the usual honeymoon staples won't be sacrificed either. 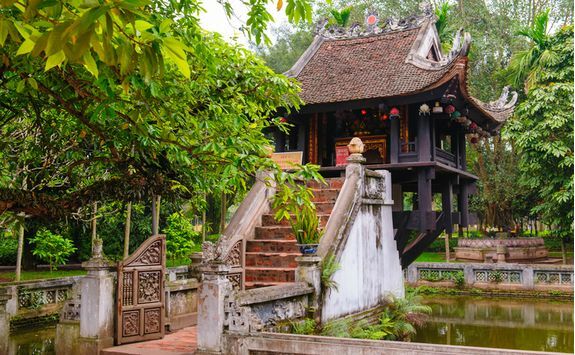 Follow this 13-day trip and fall in love with Vietnam. 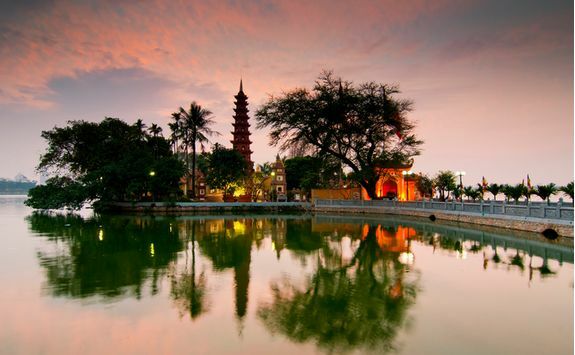 Leave London on a connecting international flight (or the occasional direct option) to Hanoi. 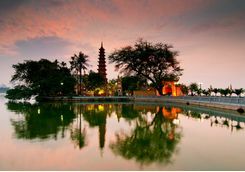 There are several airlines to choose from, so we can find something to suit a range of timings. 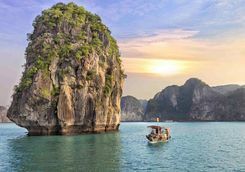 After the madness of all the wedding preparations and of course the big day itself you'll hopefully have slept on the flight(s) and will arrive feeling ready for some honeymoon fun. A driver will be waiting to meet you, bearing a sign with your married names on it (! 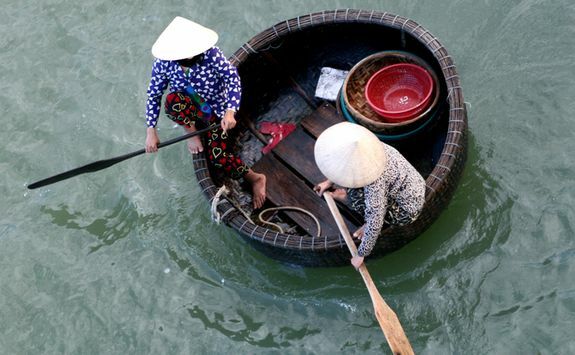 ), and ready to whisk you off to your hotel in central Hanoi. 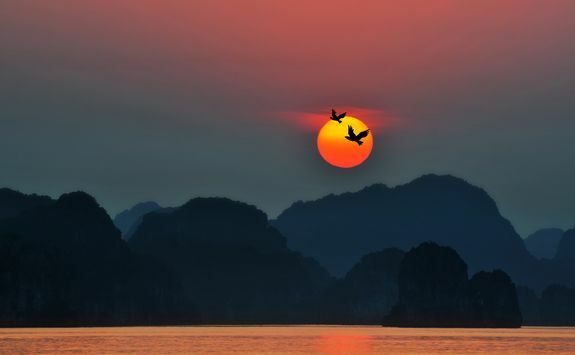 Since you'll have had a busy few weeks and a long journey, we have left today free for you to get your bearings, settle into Vietnamese time and simply enjoy the fact that the honeymoon has officially started. 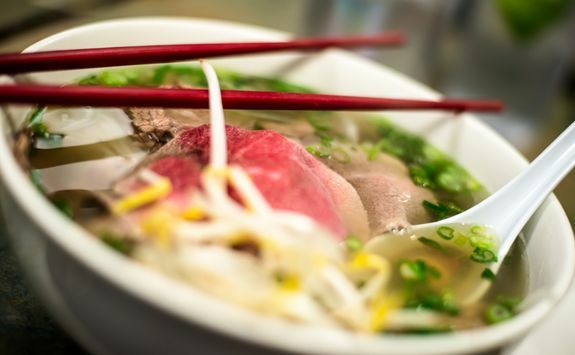 We will recommend some of our favourite restaurants for dinner and book one in advance. 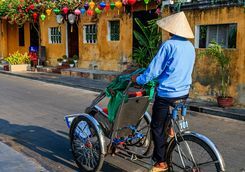 Hopefully feeling fully refreshed, today we have organised for you to spend a full day exploring Hanoi with a local guide. 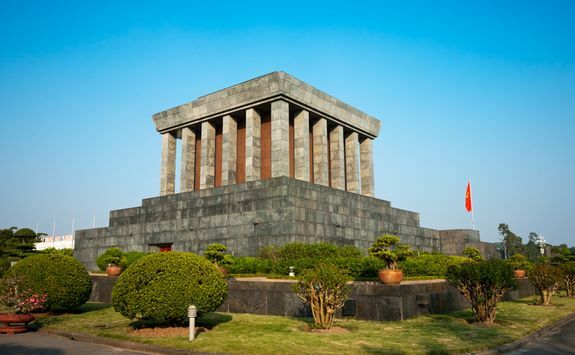 You'll stop at several of the city's key sites this morning, including the marble clad Ho Chi Minh Mausoleum, the old home and gardens of Ho Chi Minh himself, the Temple of Literature, and the One Pillar Pagoda, which was founded by King Ly Thai To in 1049 and has become an important symbol for the people of Hanoi. 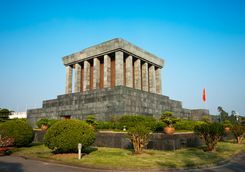 After a stop for lunch your guide will then lead you to Hoa Lo Prison (often referred to as the Hanoi Hilton due to the important American prisoners who were held here during the Vietnam-American war), the Buddhist Tran Quoc Pagoda on West Lake, Quan Thanh Temple and the Museum of Ethnology. 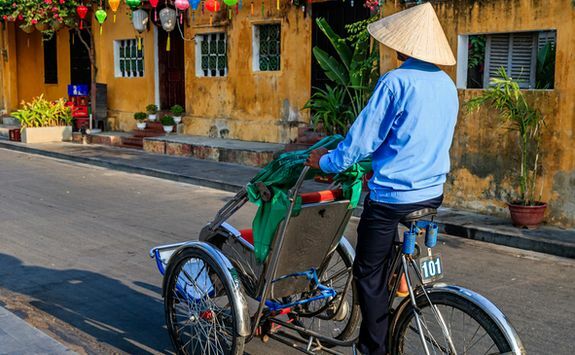 The day then finishes up with a cyclo (bicycle rickshaw) tour through Hanoi's bustling Old Quarter, also known as 36 Streets, and finally, a trip to the water puppet theatre where you'll watch an entertaining live performance of this uniquely northern Vietnamese art form. 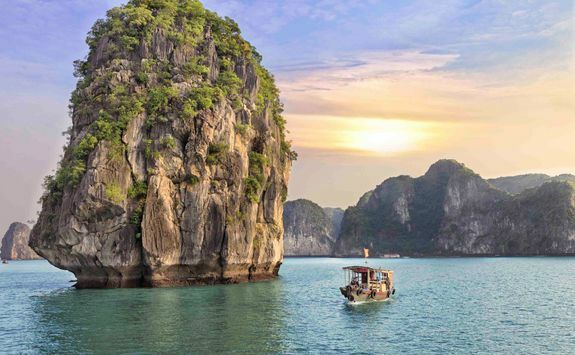 Halong Bay is the iconic Vietnamese postcard shot and one of the highlights on your trip. This morning you'll be picked up and driven three hours east to the dock for your overnight bay cruise. 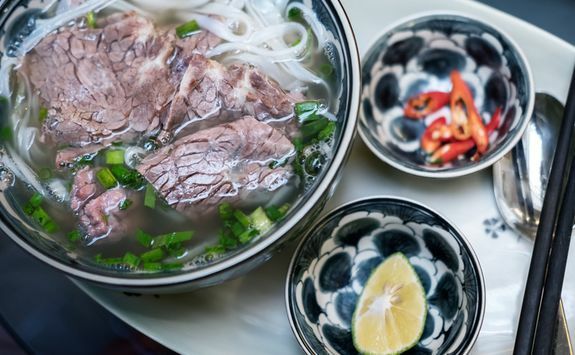 Once you board the boat, lunch is served on the deck as you set sail for Halong Bay, which you should reach within the first hour. 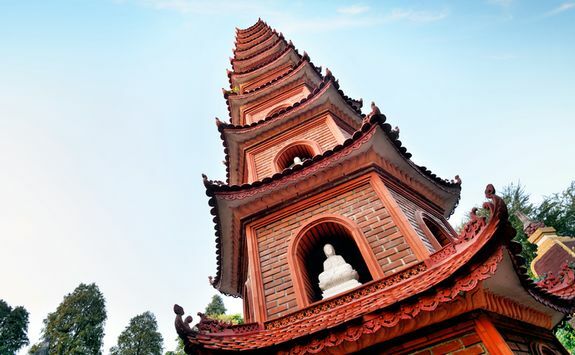 Your first stop is at the Tien Ong Cave, which is peppered with beautiful stalactites and stalagmites, formed out of ancient limestone karsts. 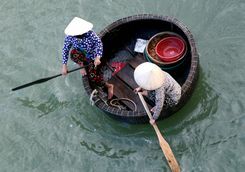 The day then continues with a visit to the Cua Van Fishing Village, the biggest and oldest floating fishing village in Halong Bay. 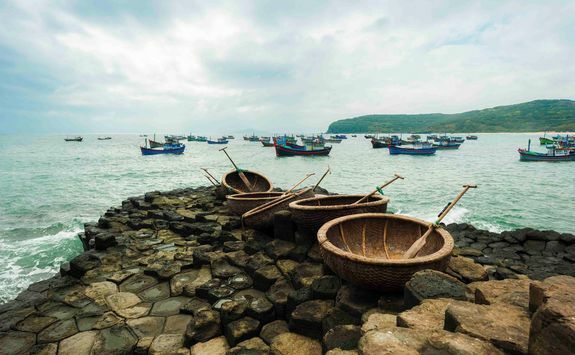 The village is best explored via a small boat so you will hop in and then pass through this ancient village of fishing boats and floating houses. 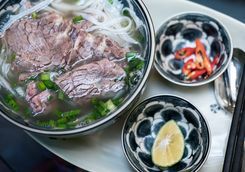 Once back on the boat, take part in a cookery class with the chef and help prepare the freshly caught catch of the day for tonight's dinner. Afterwards, simply relax and enjoy the views. Curling up on the deck with a drink and the stars shining down on you is a wonderfully romantic way to spend one of your first nights together as a married couple. Get up nice and early this morning to watch the sunrise from the top deck, with a steaming cup of coffee and a pastry, there aren't many more beautiful locations to see the sky light up than amid the dramatic limestone pinnacles of Halong Bay. 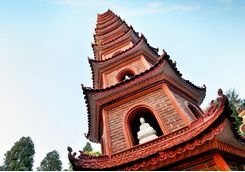 Afterwards, enjoy a tai chi class on the deck to stretch those tired limbs and then opt for a final dip in the bay or a climb up a nearby hilltop for a panoramic view. Breakfast will then be served as you sail back to the harbour. 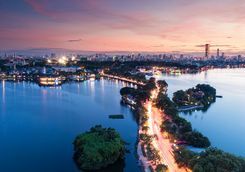 When you sail into the harbour a driver will meet you and take you back to Hanoi airport in time to check in for your short domestic flight to Da Nang airport. 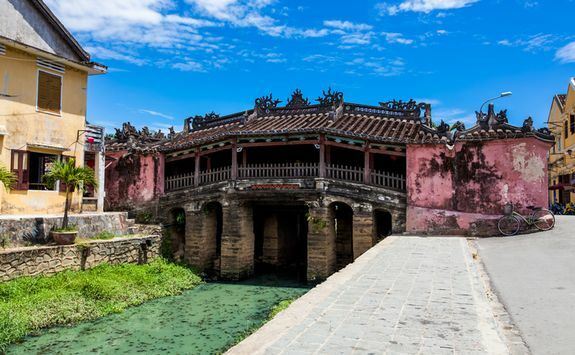 Once landed in Da Nang you will be transferred down the coast to your new hotel in Hoi An, which is just 45 minutes away. 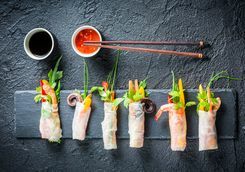 It's a well-documented fact that some of the most frequent married arguments are in the kitchen, so this morning we thought we'd throw you in at the deep end with an interactive foodie experience that'll see you helping local chef s rustle up your lunch - no arguments please! 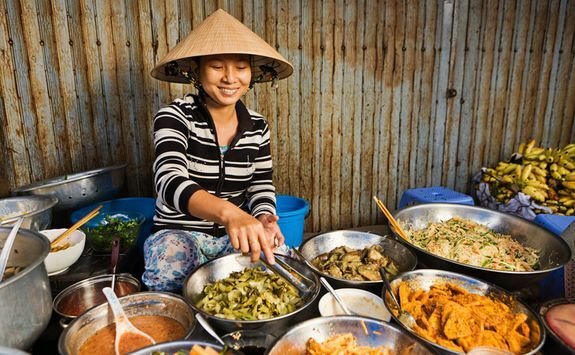 Start by joining a local chef at the town's morning market for a tour. 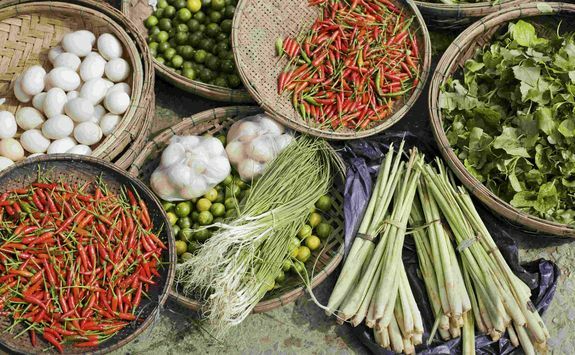 Explore the stalls, browsing for fresh herbs and learning about the ingredients for sale as you take in the local shopping scene. 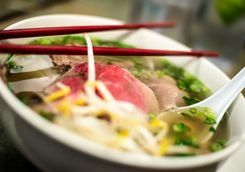 With ingredients bought, return to town and enter 'Vy's Market', a one-of-a-kind interactive dining venue. 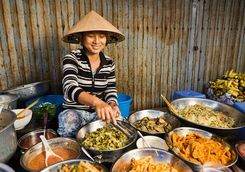 Set up like a typical market, each stall features food to buy, but visitors can also help prepare the dishes. Browse the various stalls, watch live demonstrations and then jump right in and help the chefs create truly authentic Hoi An delights. 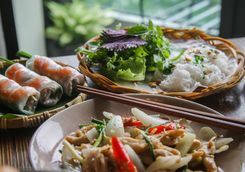 With stomachs by now surely grumbling the experience finishes with a hearty lunch, made up of your homemade street treats. 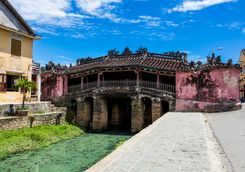 You can then spend the rest of the day exploring the UNESCO protected ancient town centre at your leisure, making sure not to miss the Japanese Covered Bridge. 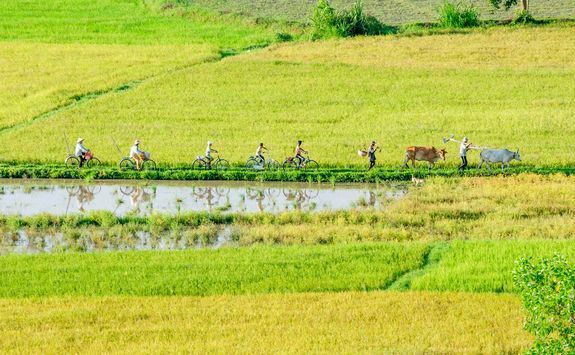 After your city based adventures yesterday, head into the tranquil countryside today for a cycling tour that introduces you to some of the ancient temples, water-coconut forests and communal organic gardens which can be found outside the city. 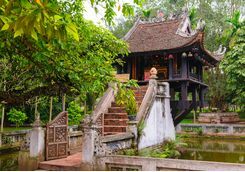 Cycle along the lush water-coconut forest past tranquil ponds and green rice fields before taking a break at Mr. Tien's Temple. Next stop at Thanh Dong Organic Farm, a garden supporting local families. 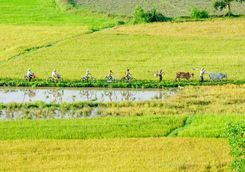 Learn about the rural lifestyle here and help out the farmers with their work while learning more about local organic farming techniques in this area. 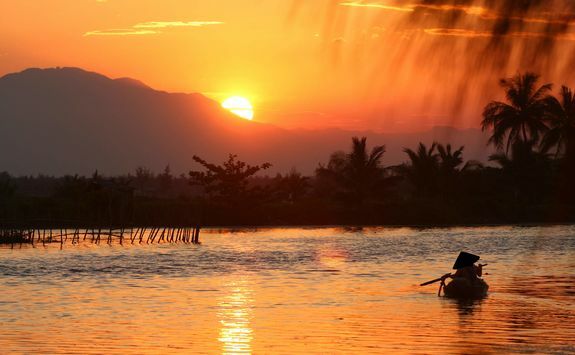 Leaving the farm behind, a 20-minute ride in a traditional basket boat along a small river takes you to a special local restaurant situated in the middle of the rice paddy fields. 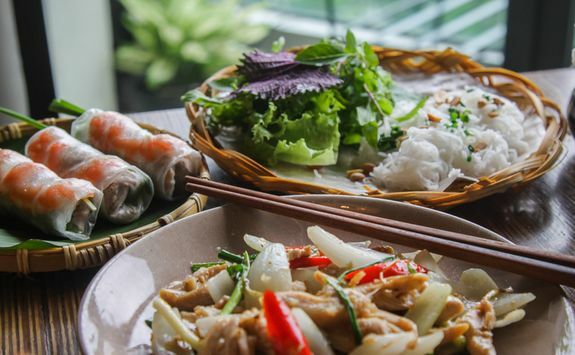 Here enjoy a delicious local lunch before beginning the journey back to Hoi An in time for drinks and dinner. 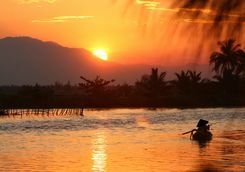 Have a leisurely lie in this morning before you check out of your hotel and make your way back to Da Nang airport with your driver. 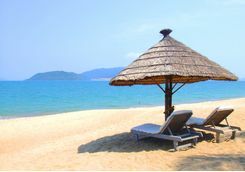 From there you'll catch a short flight south to Nha Trang airport and then be picked up and taken to your final honeymoon hotel - right on the beach. 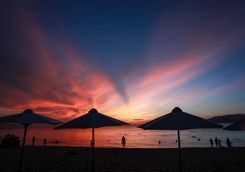 A honeymoon staple, a beach break is the perfect way to relax into married life and spend some time simply enjoying each other's company before heading back to reality. Arriving in time for a long, lazy lunch you'll slip right into the laidback beach lifestyle and then top it off with a cocktail or two as the sun sets. 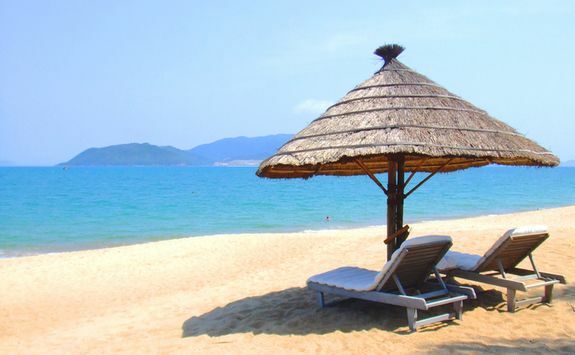 The beaches around Nha Trang and Cam Ranh are renowned for their miles of white sandy beaches and palm lined bays and the coral reefs offshore are perfect for a spot of snorkelling. 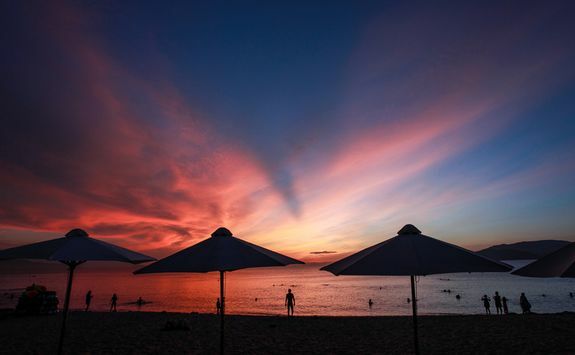 While taking the opportunity to get stuck into a good book or two, catch up on some sleep and spend plenty of time soaking up the sun, you'll also want to make time to enjoy pampering yourself in the hotel spa so that you leave feeling fully rejuvenated. Those that like to stay a little more active needn't worry either; all the hotels we work with in the area offer a number of watersports and have sport facilities on site, and the local area is a bustling hub of tourist and local activity, so exploring and eating out is easily arranged. 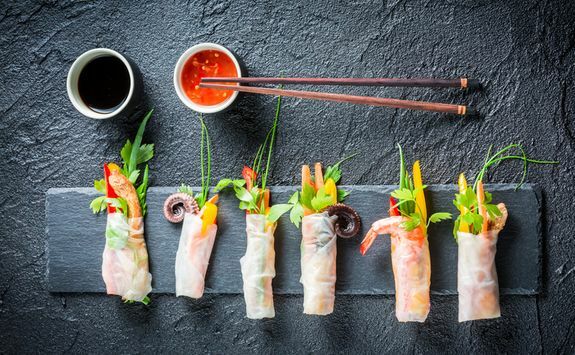 The seafood in this area is particularly good so make sure you get your fill, whether in the hotel or in one of our recommended restaurants. 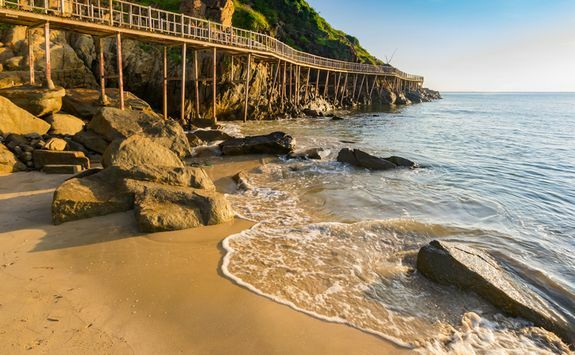 Today discover one of Vietnam's best kept secrets as you head to sleepy Doc Let, an 11-mile stretch of undeveloped white sandy beaches. Spend the day swimming in the shallow waters, relaxing under swaying palm trees and enjoying the quiet tropical rhythms of the seaside. 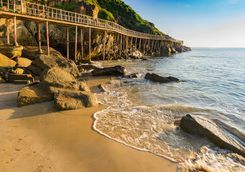 You will be met at your hotel after breakfast and driven north for an hour, passing over small mountains along the coastal road and enjoying lovely seaside views as you go. 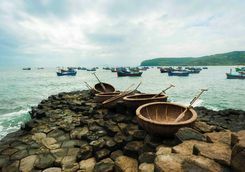 You'll then make a stop at Ninh Thuy, a charming fishing village where your guide will introduce you to local life on the coast. 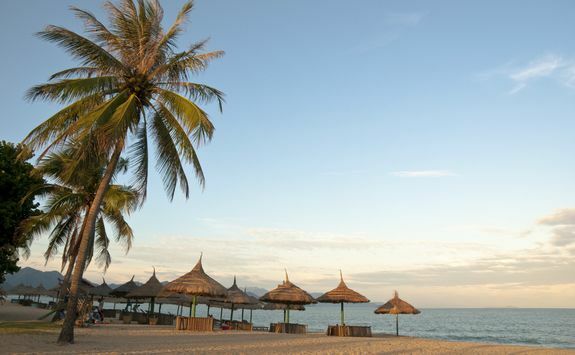 With a spot of culture to break the journey you'll then arrive at Doc Let, where you can spend the next few hours enjoying the tranquillity of the beach. 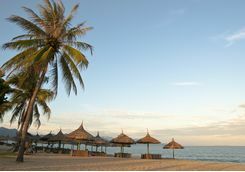 There is no set itinerary but you'll want to make time to sunbathe or relax in the shade of a palm tree, go for a swim in the calm, tropical waters and stroll down the sandy beach to find a quiet place to sit and have some lunch - we suggest White Sand Doc Let Resort and Spa. 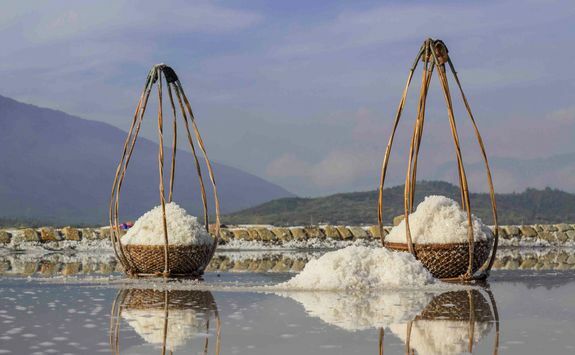 On the way back to Nha Trang you'll stop at Ninh Diem salt fields, to learn about the ingenious methods used by the locals to collect sea water and harvest the salt. Unfortunately, the honeymoon has come to end and it's time to return to reality. 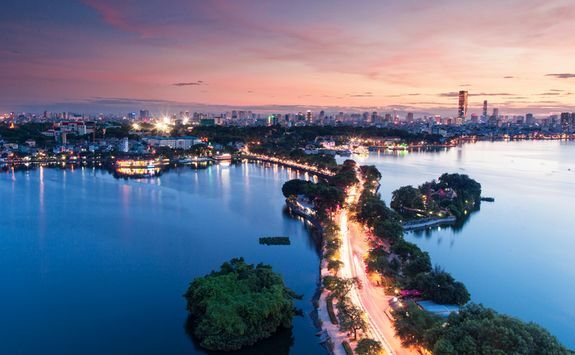 Start the journey back home with a domestic flight from Nha Trang to Hanoi or Ho Chi Minh City, where you can then connect onto your international flight to the UK. 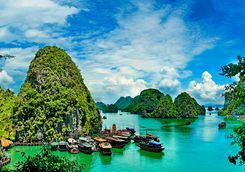 Miranda, Frances and Holly are our experts for this itinerary and as seasoned travellers they have the inside track on the most memorable adventures.